While waiting for better winds to come in order to go out at sea we present you Senhora da Fátima, our whaling boat. 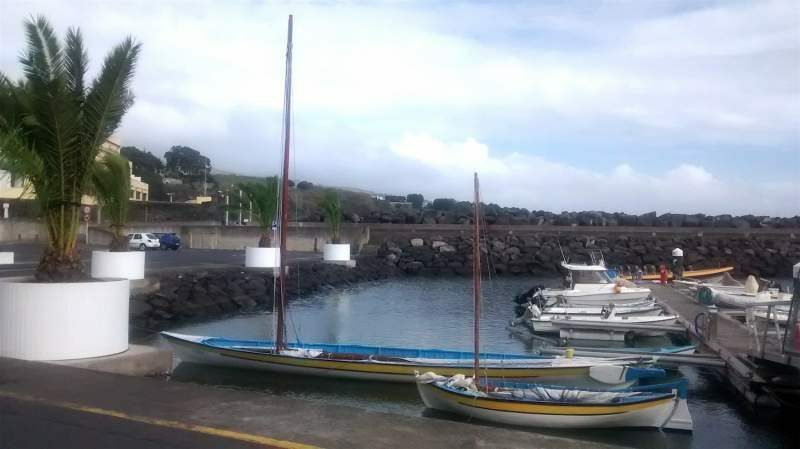 Well, the truth is Senhora da Fátima “belongs” to everyone willing to know more about the past whaling tradition of São Miguel, and the Azores in general. Though we rejoice that the Azores went through the transition whaling – whale watching, meaning they transitioned from a lethal to a non-lethal way of using the same living resources, we cannot deny something that has been part of the Azores history. Whaling started in the Azores in XIX century when American whalers were exploring the waters off the Azores with large ships to hunt sperm whales. 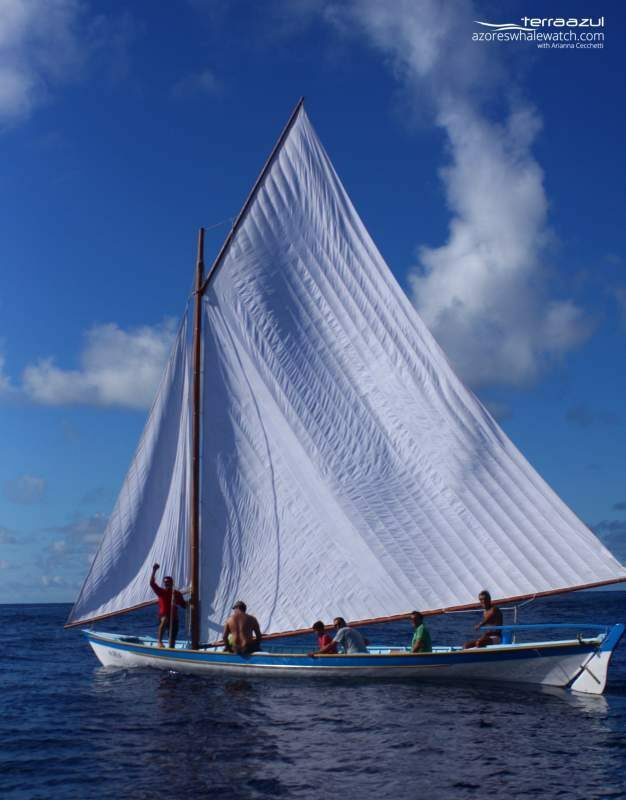 They were recruiting local people to help in the activity and later Azoreans started their own activity with much smaller boats, the botes baleeiros. The technique used was and remained deliberately traditional during the whole whaling period. Senhora da Fátima was built in 1945 in São Miguel Island. After its transformation into a balcony of a bar during its “retirement” period, it was given it a second life (check here to see how). 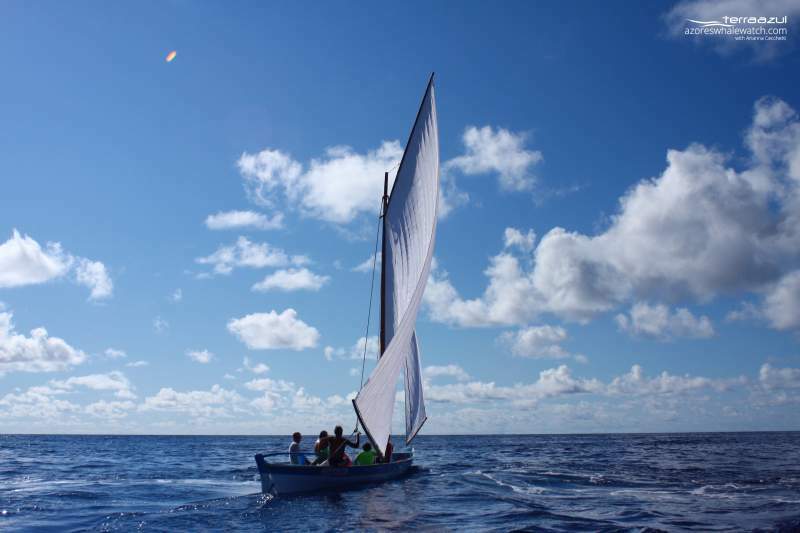 Currently Senhora da Fátima sails off the coast of the southern coast of São Miguel reminding us from one side the difficult times of the past whaling period and on the other, the great transformation the Azores made in terms of how they see the fascinating sperm whales.